Travels in Istanbul - "You Watch, I Drive!" "Sometimes surrender means giving up trying to understand and becoming comfortable with not knowing." I'd finally arrived in Istanbul late at night. My sister had arranged for a driver to pick me up at the airport. My sister has lived in Istanbul for 5 months and does not have a car. Generally to get to Istanbul from the outlying suburb she lives in requires a long walk to the subway, a long ride to the docks, a ferry ride across the Bosporus to Kadakoy and then a tram ride to go anywhere else in the city. So for my first jaunt in Istanbul late at night I thought it would be better to hire a diver. Very little signage is in English, very few people speak it and she lives very far away from the airport. She said my driver spoke English and at first he did. But after the greeting and a few short sentences that was it. At first everything seemed fine but then he started stopping at every cross street and looking around at the different buildings. After the 5th or 6th time he stopped at a crossroad I asked if he had the number of my sister's Turkish friend to call for better directions. At first he ignored me, but after the second time I mentioned it he turned to me and said "You watch, I drive". I immediately got it and said nothing more. But it made me think, and I realized I was holding on too tight to knowing. I was trying to control the outcome by trying to influence the driver. Yes it was important to get to my destination, but I knew I would eventually get there. It just might take longer, and maybe I would get a chance to "watch" a little more. But it really struck home as I realized I was not staying within my control zone, meaning within my own mind and body. I continued to watch myself over the next few days. I noticed that I was continually trying to "control" my progress on the various transportation legs by visualizing the next the steps I would be taking, trying to anticipate what was next. Where would I stand to avoid the crush of the crowd onto the ferry, what cabin would I get on in the subway, etc. I had to remind myself that it didn't matter where I stood in the line, it didn't matter what the crowd was doing, none of it really mattered. All that mattered was that I was in Turkey getting ready to visit some of the most fascinating historical sites in the world. Some of the places I'd always dreamed of visiting. 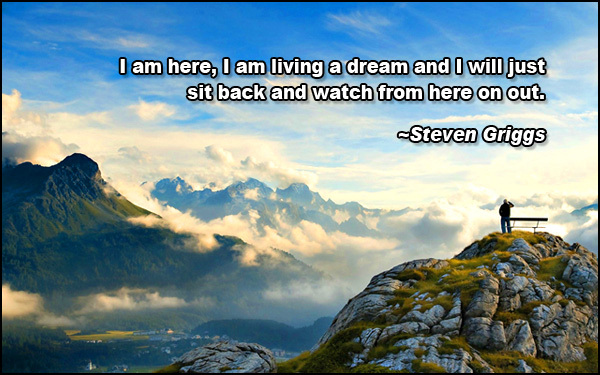 So right then I decided - I am here, I am living a dream and I will just sit back and watch from here on out.